How did Italy treat Jews during World War II? 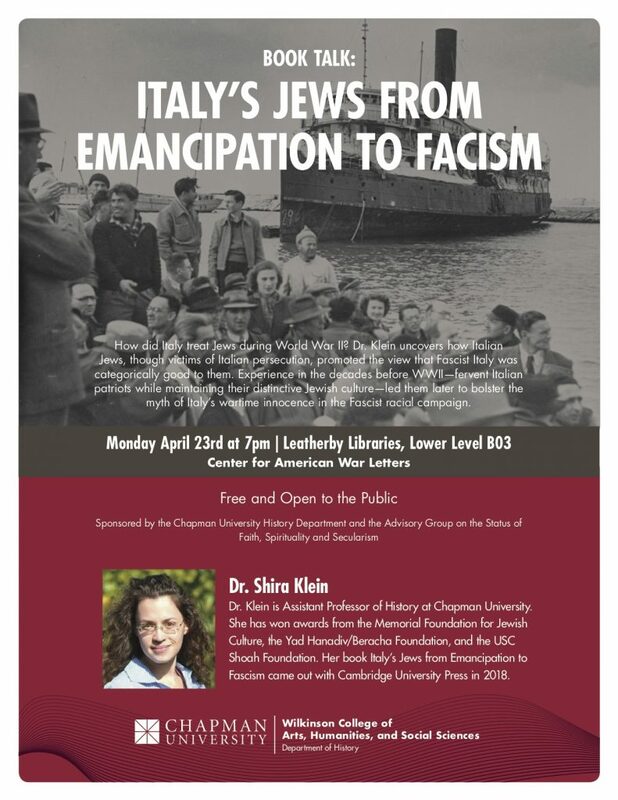 Dr. Klein uncovers how Italian Jews, though victims of Italian persecution, promoted the view that Fascist Italy was categorically good to them. Experience in the decades before WWII—fervent Italian patriots while maintaining their distinctive Jewish culture—led them later to bolster the myth of Italy’s wartime innocence in the Fascist racial campaign.